"I greatly appreciate your very swift response, and your organization's work in general. It's a terrific source of authoritative information." Within the last decade, the United States has made several important adjustments to its plans for deploying missile defenses in Europe. In light of the ongoing implementation of the Iran nuclear deal and an objective assessment of Iran’s missile program, it is high time to make another one—suspending the deployment of more advanced Aegis missile defense interceptors to Poland. In September 2009, President Barack Obama announced a four-part “European Phased Adaptive Approach” (EPAA) to deploying U.S. missile defenses in Europe against the emerging ballistic missile threat from the Middle East. In March 2011, the first of four Aegis cruisers armed with SM3-IA ballistic missile interceptors deployed to Europe. In March 2013, the fourth phase of the plan was cancelled, based on the slower than anticipated evolution of the Iranian long-range missile threat and reassessment of the technical hurdles to developing an Aegis missile to intercept intercontinental ballistic missiles (ICBMs). On May 12, the 24 SM3-IB interceptors and SPY-1D radar of the Aegis Ashore facility in Romania were certified as operational. With NATO’s support, the United States has now been successful in implementing the first and second phases of the EPAA. Testing of the Aegis missile defense system has demonstrated its reliability. Its effectiveness has been enhanced by the 2012 installation of an X-band radar in Turkey and ongoing integration with the missile defense-related elements of other NATO members. Together, these systems are oriented to defend against the longest-range missiles in Iran’s arsenal (up to 2,000 kilometers), which can reach NATO members Turkey, Greece, Bulgaria, and Romania. From the outset, the U.S. European Phased Adaptive Approach (EPAA) has been oriented on ballistic missile threats from the Middle East. It has been especially focused on Iran, the potentially hostile state closest to developing nuclear warheads and to developing missiles which could deliver them to wide swaths of NATO territory. The EPAA was to be based on proven and cost-effective technology, and adaptation to an evolving security environment. At each stage, the United States would introduce increasingly capable interceptors and sensors on ships and on land to cope with the potential near-term deployment of nuclear-tipped long-range ballistic missiles. The Iran nuclear deal, concluded in July 2015, has fundamentally altered the prospects of Iran obtaining nuclear warheads for its missiles over the next 15 years, dramatically reducing the mid-term threat from Iran to a level fundamentally different than the potential security environment envisioned when the EPAA was first formulated seven years ago. The other major change in recent years is Iran’s lack of progress in extending the reach of its missile forces beyond short- and medium-ranges. For many years, the U.S. intelligence community predicted that Iran would flight-test an ICBM by 2015. Yet Iran has not even flight-tested an intermediate-range ballistic missile (IRBM) that could reach the European heartland. Moreover, deployment of a long-range operational weapon would be likely to require some years’ work after the first flight test. Iran’s Simorgh space launch vehicle could be used to advance development of a long-range military missile. Yet this rocket, whose first test was anticipated in 2010, seems to have flown for the first time only last month—and it failed. However significant the projected first-launch of the Simorgh in calculating the EPAA’s schedule early on, the critical launch milestone has slipped more than five years. In the face of this fundamental diminution in the mid-term prospect of a nuclear-tipped missile threat to Europe, the United States and NATO are holding fast to the original plan for deploying to Poland an even more advanced version of Aegis Ashore—armed with SM3-IIA interceptors designed to destroy IRBMs—by 2018. Rather than taking a pause to re-evaluate in light of evolving circumstances, administration officials have consistently emphasized that there will be no change in the EPAA Phase Three schedule. 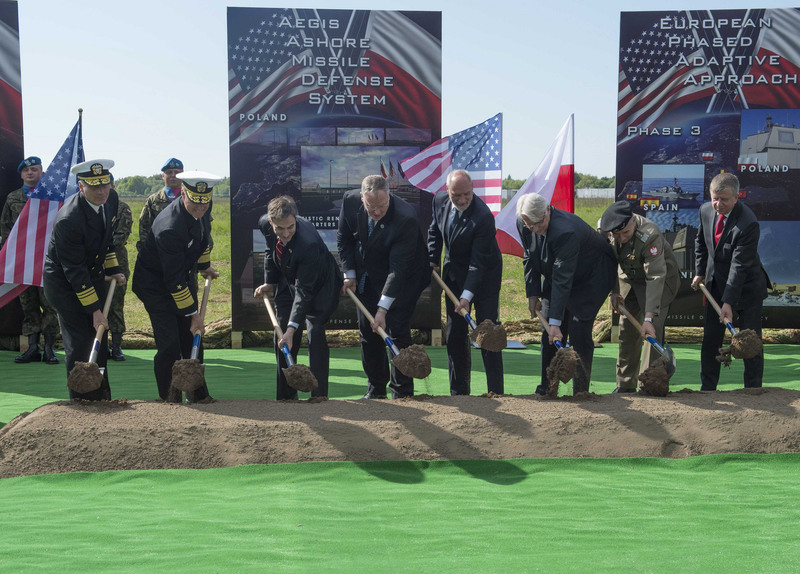 There is considerable financial and political cost in deploying advanced Aegis Ashore interceptors in Poland so far ahead of any commensurate threat. Given the stakes in the West’s confrontation with Russia, the moral high ground need not be yielded so readily. There are other ways to provide reassurance to NATO’s eastern members that are more relevant to their security needs. NATO should adapt to current realities by suspending Phase Three of the EPAA—saving the expenditures for higher priority tasks and mitigating an irritant in relations with Russia, without doing harm to the security of its members. If Poland requires additional assurance to compensate for suspension of its hosting Aegis Ashore, it should receive additional Patriot point-defense systems, which would be more valuable in defending against real threats, far less provocative to Russia, and more helpful in sustaining international faith in the sincerity of U.S. and NATO policy proclamations.